It recently came to my attention that the Honda Ridgeline is still on sale. I found this out quite by accident, when I discovered an article that talked in detail about how Honda plans to keep selling it for another year or two, then cancel it for a while, then maybe replace it, or maybe not. This is the Honda way. So I had the Ridgeline on my mind, which is why I’ve decided to devote today’s “Feature Fail” column to one of the most unusual features currently available: the Honda Ridgeline camper top. What is the Honda Ridgeline camper top, you ask? Why, it’s a camper top for a Honda Ridgeline. And that, in itself, is rather ridiculous. The Ridgeline, for those who are (blissfully, believe me) unaware, is a rather odd-looking pickup truck that uses the running gear from a Honda Pilot, the engine from a Honda Pilot, the transmission from a Honda Pilot, and the platform of a Honda Pilot. In fact, the only way it differs from a Pilot is that it’s open in the back, like a truck, rather than enclosed, like an SUV. So then why would you pay actual money to close up the back? 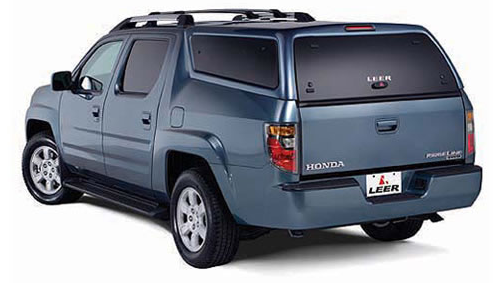 Every time I see a Ridgeline with a camper top, which admittedly is not very often, I always wonder about this. You chose the most SUV-like pickup in the world. Then you decided to turn it into an SUV. Why didn’t you just buy an SUV?! This question is even more confounding when you bring cost into the equation. The Ridgeline and Pilot have the same starting price, meaning you’ve paid strong money to get that truck. Then you’ve paid even more to enclose it! I don’t understand it, but perhaps you can shed some light. Until then, the Ridgeline camper shell is a feature fail. Idiots. I bought a Pilot and cut the back off with a saw to make it a pickup. Duh. Hahaha. Now that makes sense. It does have a slightly truck-ier interior, though frankly that’s mostly a bad thing in this context. Pilot is indeed a minivan, sadly. But a damn good one! Or any Subaru Baja’s with a camper, or Avalanches. Actually, with the midgate, the Avalance “sort” of makes sense. In that sense, with a cap, vs a Suburban, all you’re sacrificing is the 3rd row, but gain an entirely water proof, separated compartment. As the owner of a large dog, I kind of find this appealing, more so than a 3rd row. But on the Ridgeline and Baja with a cap, versus an Outback or Pilot, going with a cap means you have also sacrificed your ability to fold down the rear seat and carry long objects, and that’s not worth the bed, or water proof storage, to me. 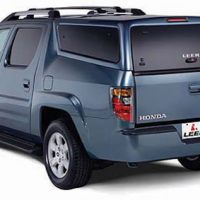 Don’t you lose the same functionality in the Ridgeline vs. the Avalanche? In both cars the cap gives you the ability to have the waterproof compartment – and I agree, large dogs definitely make that make a little sense. I just meant how the Avalanche has the midgate, so you can still fold down the rear seats and window if you want and have a Suburban sized cargo area. I don’t believe the Ridgeline has any sort of pass-thru. The Baja has a slightly larger than ski boot sized pass through, better than nothing, but still a big compromise over the functionality of a proper wagon. I love the Ridgeline, I drive a 2013 a couple times a week for work, it is kind of like a big car with a wimpy little bed in the back. I have never seen this camper thing and had no clue they made it. Like you said Doug it is a total fail and you have to wonder if very many people bought one? I can’t imagine anyone did. My real question is what it costs – I’m stuck on guest Internet out of my house because of a tree fall today, so I couldn’t browse much web, but I bet it isn’t cheap. Sorry about your tree problem, I find one camper that looks like the one in your picture for about @2000. 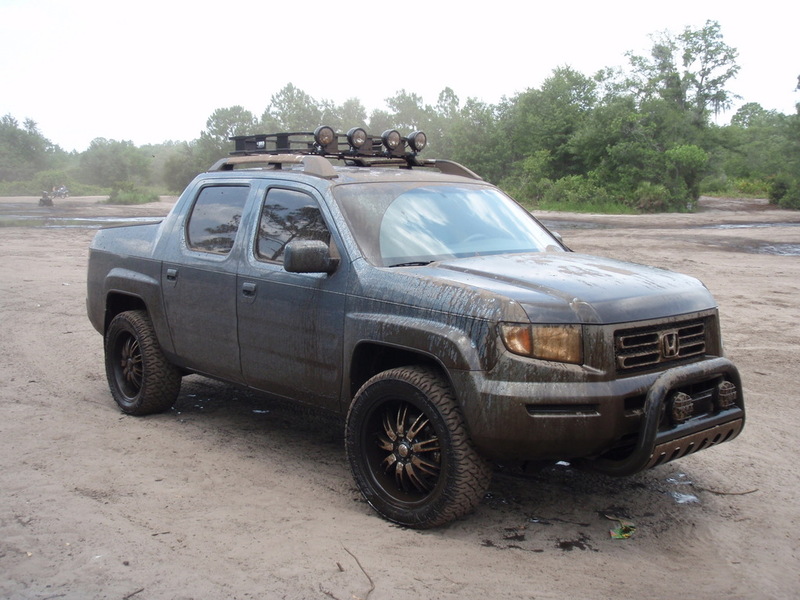 I remember seeing a muddy lifted Ridgeline on big-ish mud tires. It would make sense if the person needs to haul stuff that they want to be enclosed, but that is too dirty or whatever to haul in the back of a carpeted SUV. I know 2 people who have Ridgeline with the tops. The tops work for keeping mud out of your vehicle. It’s not recommended to hose out your Pilot after you throw muddy boots and clothes after a day of riding four wheelers and dirt bikes. Picking up bags of dirt from the garden center. Keeping your luggage and camping supplies out of sight and dry. And it’s light enough to remove when you need more space picking up a refrigerator or bushes and trees. The Pilot is the better people mover seating for 6 or 7. But the Ridgeline is more versatile for most homeowners. The camper shell makes it better. Just not better looking.